Beverly says tea should make you smile. Like most of us, Beverly Wainwright loves a cheeky cuppa, but she never dreamed she’d end up making tea in Scotland. 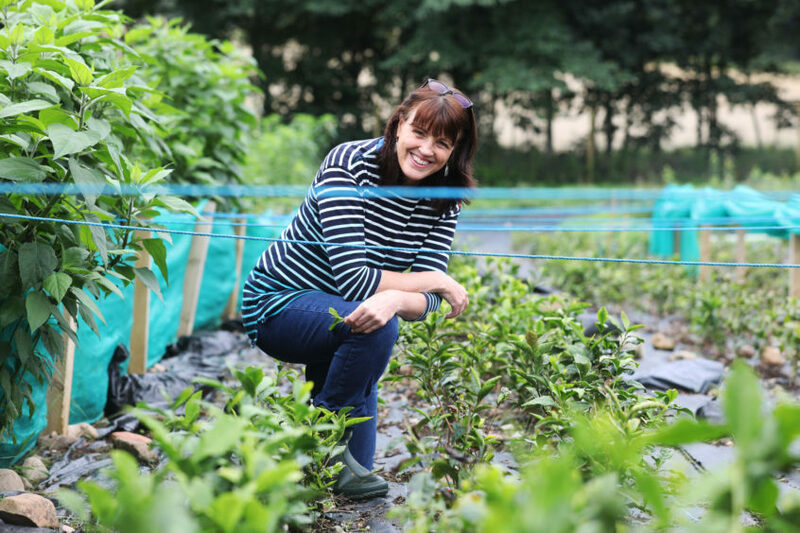 Her journey from high-flying businesswoman to award-winning tea maker and top tea consultant began in 2009 when she sold her home in Edinburgh and moved to Sri Lanka. “I woke up one day and wondered why I was working just to pay off the mortgage,” she recalls. Beverly in the tea factory. Her posting took her to a remote corner of the country where she worked with farmers to develop rural businesses. She was lured to Amba Tea Estate in 2010 “with the promise of a hot shower and a cold beer” and became estate manager the following year. “My job was to revive the estate which was running at a loss and to create sustainable livelihoods for local people,” she says. After a year of experimentation, Beverly produced a hand-rolled tea she loved. The equipment she used was basic – water pipes, lights bulbs and a sheet of plastic. To her surprise, she got an email from Michael Harney of Harney and Sons, acclaimed tea experts in America, requesting a sample. A month later, after declaring he was a big fan, he ordered 10kg. Beverly with her tea plantations. Beverly’s next step was to build a small tea factory in which she created more than 10 different teas and blends. Meanwhile, the estate was employing more workers in various ventures; in its jam kitchen, roasting coffee, turning an old farmhouse into a guest house and offering tea tours, while Beverly worked on community projects, including a “halfway house” for women with mental health issues. Soon, word got out that Beverly was an expert in her field and she was offered work as a consultant with Teacraft, based in the UK. 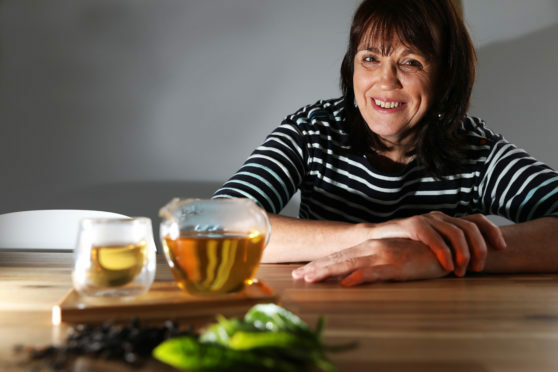 Returning to Edinburgh in 2016, her first assignment was helping Kinnettles-based Susie Walker-Munro to create her first tea – Kinnettles Gold, which retails at £15 a cup. 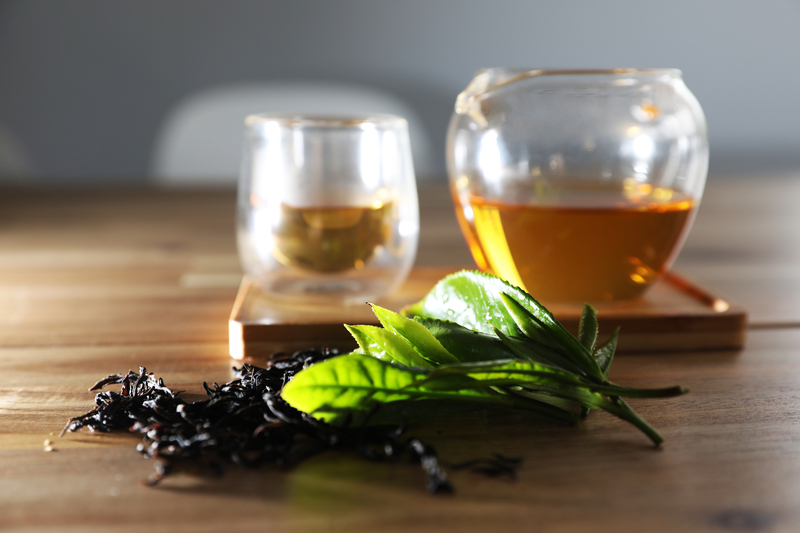 Beverly’s tea in various forms – brewed, dried and raw. 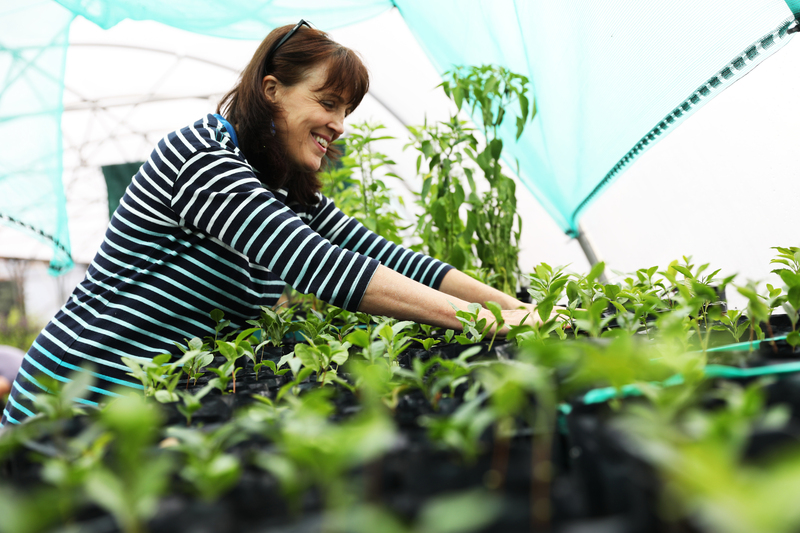 Last year, Beverly moved to Comrie and planted 700 plants at Comrie Croft. Sadly, many were wiped out when the Beast from the East struck. Not one to be brow-beaten, she opened the brand spanking new tea factory, also at Comrie Croft, in August. This was thanks to Perth and Kinross’s rural leader project which funded 57% of the costs. 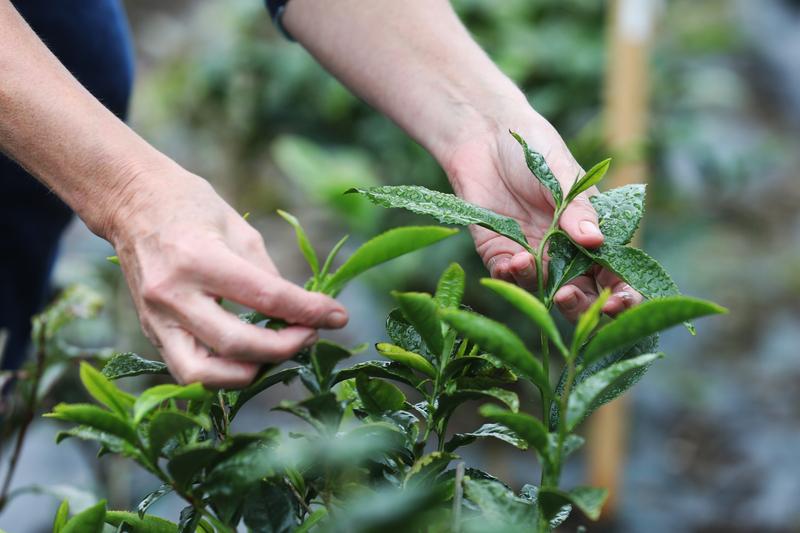 Beverly’s ambition is to make fantastic Scottish tea, but as it takes four years for plants to mature, it’ll be a while before this happens. “Perfect Scottish tea should reflect the terroir where it’s grown, capturing the flavours of the leaf, environment and type of processing,” she says. “Scottish tea is unique and we need to develop tea that identifies as Scottish. “I want Scottish tea to be well and truly on the international map and showcase what can be achieved in this environment. Beverly checking her tea seedlings. Beverly is more than happy to admits that she’s made some mistakes along the way. “I’ve had loads of help along the way – from family, from the tea garden ladies, from friends, from builders, from Comrie Croft,” she says. “The real heroes are the tea ladies in Sri Lanka and here in Scotland. Beverly set up a community tea project with locals planting tea in their gardens and producing a community blend. She also runs tea making courses at her new factory, as well as working with Aberdeen University to chart the authenticity of where tea is grown. Beverly says tea should make you smile! 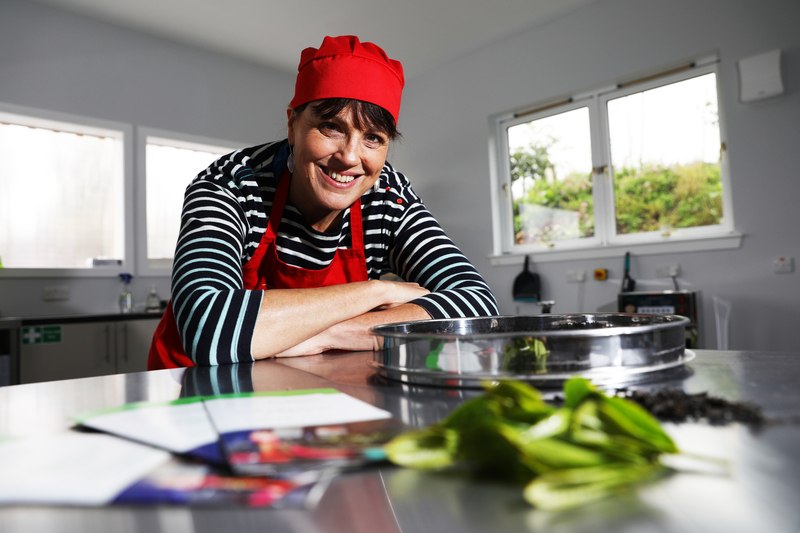 That’s not all – she plans to run a “Tea Champion” course next year which will teach people how to serve tea properly. “Tea pairs beautifully with certain foods,” she says. “Why order a fizzy or alcoholic drink when you can choose a gorgeous tea to enhance your dining experience?